*Retired from University and I return to Elementary School – TOMORROW !!!. *I will Up-cycle from my University Pre-retirement work and week-end stash. 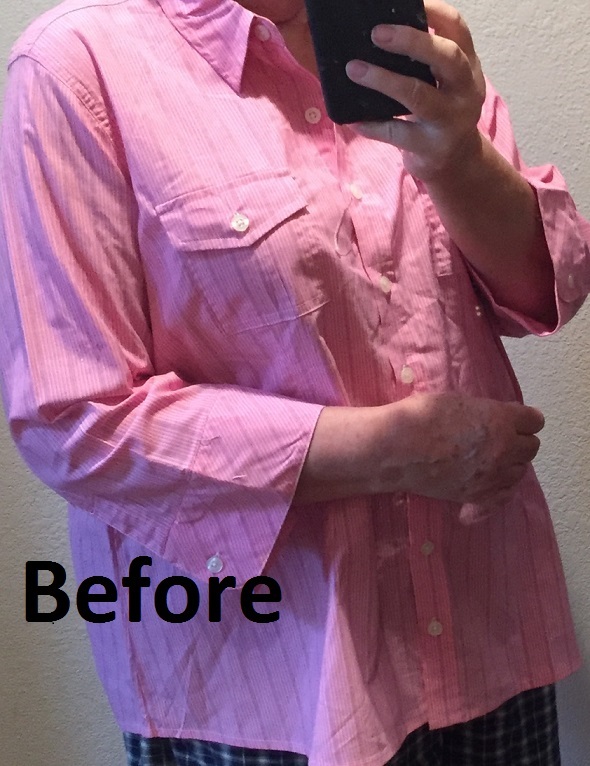 BEFORE: Pink shirt from week-end stash. Several sizes too large and never worn. Sleeve arm cycle was very large and could not be taken down to a normal shirt sleeve opening. Hem was shirt-tail. The shirt would serve best as an open shirt jacket. 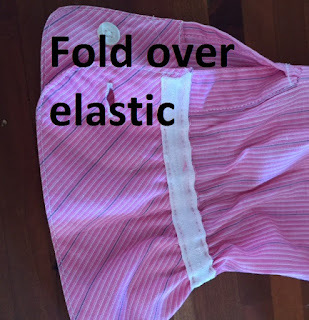 Take in seams on body side and sleeve. Leave full enough to serve as shirt-jacket. Sleeve cycle still sits very low. 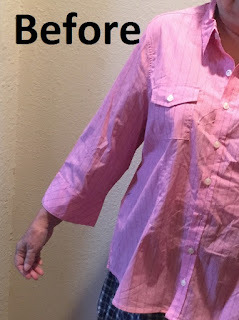 Cut shoulder seam back ¾ inch to fit my narrow shoulders. Stitch sleeves back in place. Serge seam. 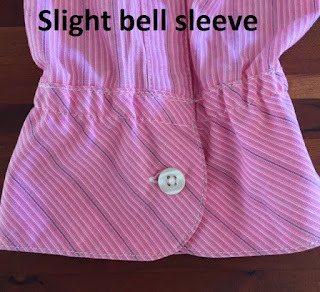 Stitch fold-over elastic into wrist to slightly gather oversized sleeve cuff. This gives a slight bell sleeve. Even the shirt hem, serge, and top-stitch. AFTER: New shirt jacket with slight bell sleeves ready to wear. Teamed with pink t-shirt and summer capris for casual work days at Elementary School. Shirt Jacket with slight bell sleeve. Hem evened from shirt-tail hem.